This study examined parents’ rules concerning their late adolescents’ dating activities. Participants were mostly European-American, including 165 mothers or fathers and 103 of their children (ages 17–19; 28 sons and 75 daughters). Parents provided information regarding their use of dating rules; rules were coded by type (i.e., supervision, restriction, or prescription) and by the degree of control the rule set provided. Most parents (64%) reported using dating rules, and rules varied by the adolescents and parents’ gender. Rule types were related differentially to qualities of parents and adolescents’ relationships, such that supervision rules reflected a healthy parent–child dynamic and prescription rules related negatively to qualities of parents’ romantic/marital relationships. 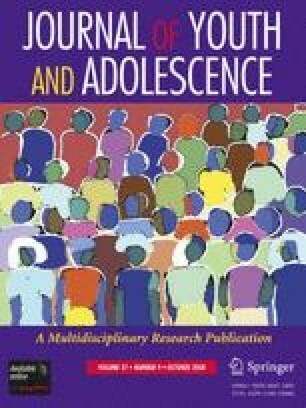 This study contributes to a growing body of research on parents’ management of adolescents’ peer relationships by expanding the focus from friendships to romantic partnerships.